Great Lion pictures to give you goose bumps! When we arrived at the Kalahari Gemsbok Park, at the reception, there was a guest book where people wrote what they saw during the day and lion and cubs were the main 'attraction': some people were very pleased to have seen some and others were sad to have left without having seen any. We knew then from day one that our mission will be to find the lions! 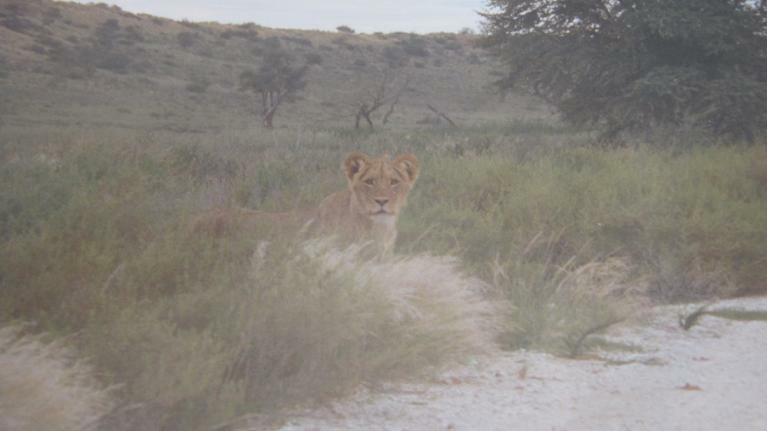 We enjoyed very much driving the car ourselves on the dirt roads, very slowly-not to miss any lion. We were very focused and a weird vibe built over time: we won't leave without seeing any. While we were driving slowly we saw lion footprints on the dry soil...We were getting closer but we ended the first day without seeing any... We slept very good that night! I can tell you, when you focused so much during a full day, that night after, you focus so much on your sleep and dreams!!! Second day, we drove further North and a group of people we met along the way said that we might have more chance because lions have been seen there. No more luck though but we heard a lion roar... 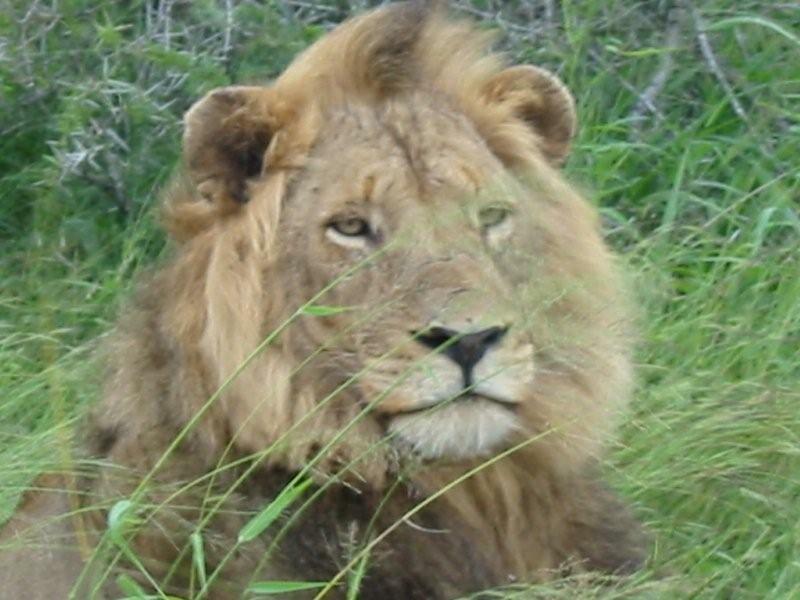 However, one can hear a lion up to 5 km around! so in fact it could have been far from us! We were very disappointed as we knew that the following day was the last one in the reserve and we would have to leave early and therefore we wouldn't be able to drive that slowly as we had to hit the road. One after the other they came on the road and walked pass our car... There is no word for that experience! You feel so vulnerable and so respectful when something like this happens. They were in their environment and we were in the cage. What a weird feeling. Yes! 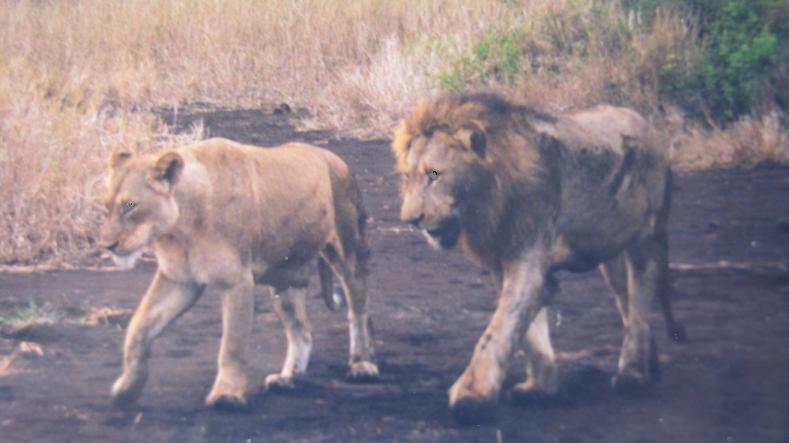 They came one after the other which made us realised that lions also have character! The first one was very curious, which is probably why he was the first one to walk towards us and watch us. He, 'this little boy', put his face on the back window and roared. I was so scared, I wanted to leave but at the same time, I knew I will miss something...so we stayed. 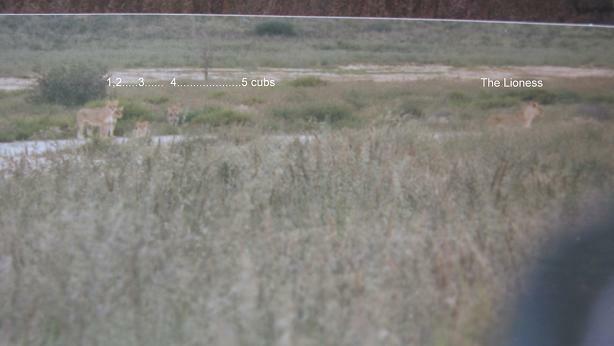 The second cub stayed in front of the car and did not move for a while! He was observing us... Gosh! What if he had decided to jump on the car?! The third one was very shy and ran to his mum. And the two last ones were so sweet, they just played together... Again, I've realised afterwards that I was so amazed to watch them and to enjoy that awesome moment that I forgot to take pictures! Zut! 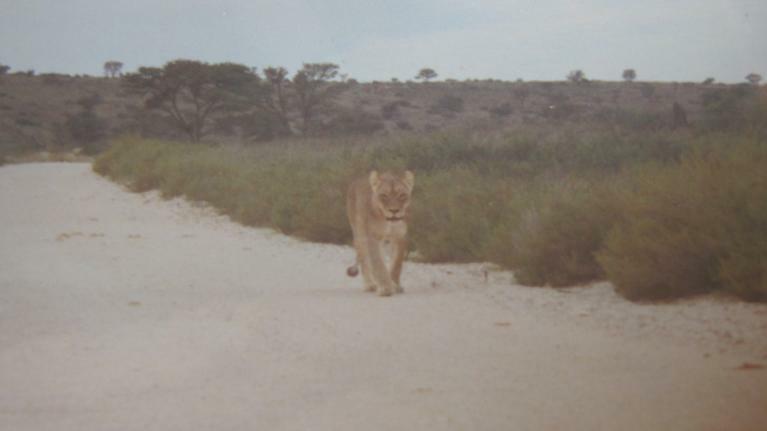 It was in Phinda reserve. We saw this couple, early morning. I know now, by experience, that it's easier to see lions on the morning because they don't like hunting and walking when it's hot. The ranger said to us that they were looking for food as they seemed very active. 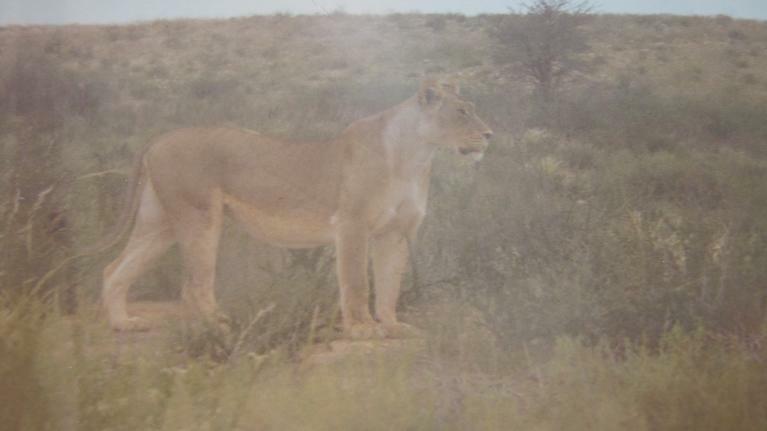 Here is the lioness alone who was much smaller than the one in the Kalahari. 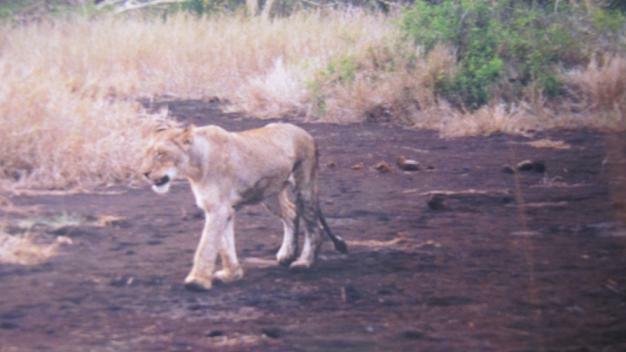 This was in the Kruger. 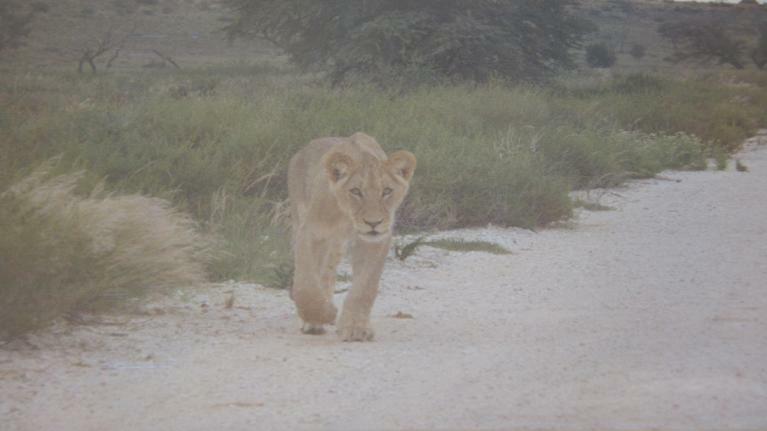 And it was another experience as we drove the car ourselves but on tar road so it wasn't as exotic as in the Kalahari. 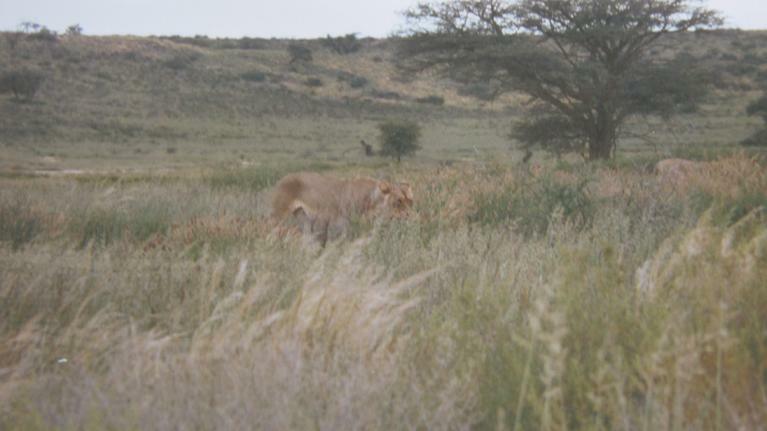 I was with my parents and my brother and we managed to see this big lion at the end of the afternoon. We've been very lucky because he was lying on the side of the road!!! When you take lion pictures, it's not about the picture, it's about the experience and the feelings that goes with it. I've learned that when you finally realise a long awaited dream and you manage to take a picture of it, it's truly the cherry on the cake! This picture is going to make you feel so good whenever you'll see it! 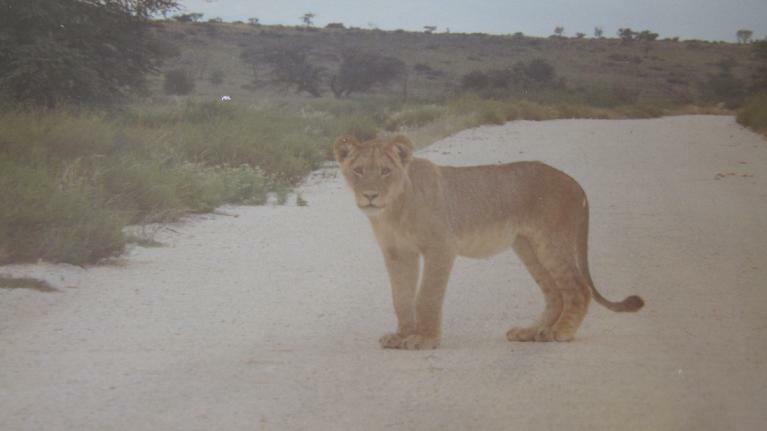 It's exactly what happened with these lion pictures from the Kalahari: we endlessly looked for them for two long days and eventually at the very end, here they were! It was such a gift that it was almost not that important to take pictures! It was more important to live the moment! To have these lion pictures now, 8 years later is a great reminder of that moment but they will never replace what I feel in my heart!